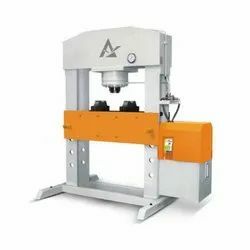 Providing you the best range of c frame hydraulic press, hydraulic straightening press with motor, hydraulic press custom build, h frame hydraulic press, four column hydraulic press and four column hydraulic press with wheel with effective & timely delivery. We are an eminent name, which is engaged in delivering C Frame Hydraulic Press to our clients. 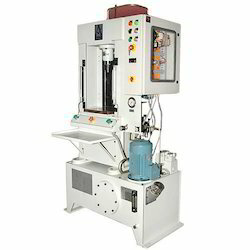 The offered range of C frame hydraulic presses is designed & developed utilizing high grade raw material and highly modern machines in strict tandem with the industry laid norms and standards. 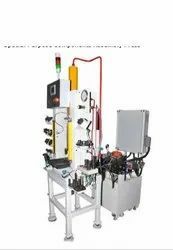 Along with this, the offered range is available in different models such as four-column press, "H" frame press, rubber molding press and "C" frame press. 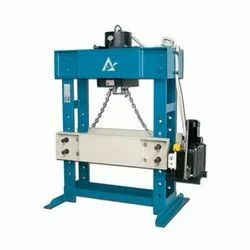 We are offering Hydraulic Straightening Press With Motor to our clients. Keeping in sync with time, we are able to offer Hydraulic Press (Custom Built) to our respectable clients. 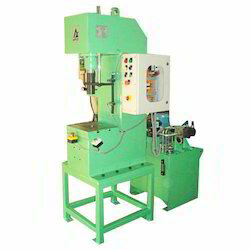 The offered range hydraulic presses is made utilizing high grade raw material and innovative techniques in strict compliance with the international quality norms and standards. Moreover, the offered range is known for its low maintenance and durability. In order to cater to the diverse requirements of honorable clients, we are able to offer H Frame Hydraulic Press. 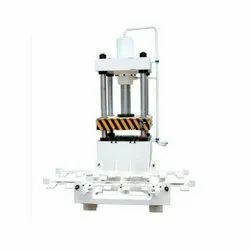 The offered range of H frame hydraulic presses is made utilizing high grade raw material and highly advanced technology in strict compliance with the international quality standards. Along with this, the offered range is applicable in industries pertaining to plastic components making, food, leather, sheet metal and general engineering. 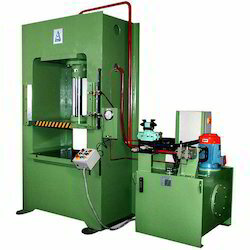 Backed by the rich experience and a competent team of professionals, we are able to offer Four Column Hydraulic Press. The offered range is ideally used for compression molding maximum 600 tons and in higher capacities as per customer requirements. Along with this, the offered range is acclaimed in the market for its cost effectiveness, higher efficiency, trouble free functions and longer service life. The hydraulic pumps and valves are utilized in systems. Also, shell and heat exchangers is rendered in hydraulic system so as to prevent incrementation of temperature in hydraulic oil. We are offering Special Purpose Components Assembly Hydraulic Press to our clients. 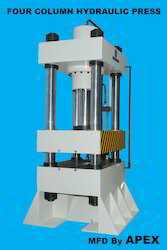 We are offering Hydraulic Press to our clients.